Ad-tech firm InMobi has seen the second co-founder stepping down from an executive role within the company in five months. Co-founder and president, OEM and telco solutions Amit Gupta has moved on to launch internet of things-driven bicycle sharing startup Yulu. Gupta will be CEO of Yulu. Gupta will, however, remain involved with InMobi as co-founder. “I am not leaving InMobi. I have always had a desire to be aligned with a social cause. This idea has germinated into something that finally fulfils this need. Naveen and my fellow co-founders have been an integral part of seeing me through this process. I will continue as co-founder at InMobi minus the operational capabilities,” he said in a statement. 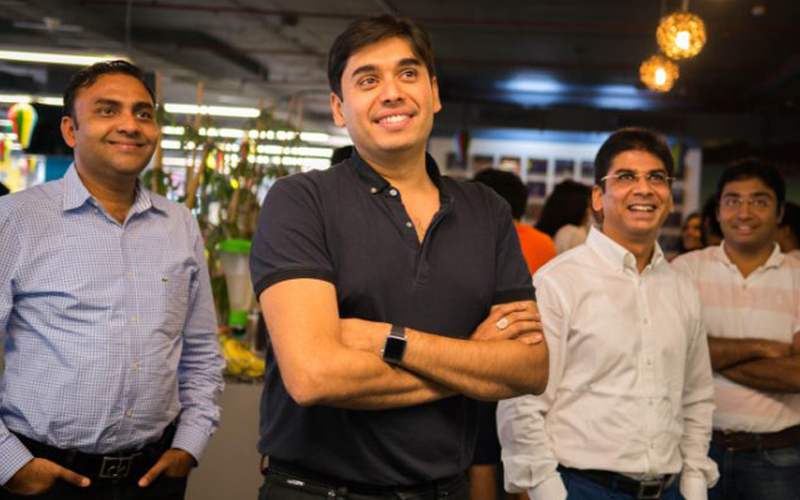 “We have always encouraged entrepreneurship at InMobi. The fact that we have been able to extend entrepreneurial support to our employees is a testament to that commitment. We are supportive of Amit’s second plunge into social entrepreneurship and his desire to give back to the community. Amit will be partially operating this venture out of the InMobi office for as long as he needs to. He will continue to be with InMobi as co-founder,” the firm said. Earlier this year, another co-founder and chief technology officer Mohit Saxena had stepped down to start a new venture. Besides co-founders Saxena and Gupta, InMobi recently saw the exit of its marketing chief Arun Pattabhiraman. IIT graduates Saxena, Gupta, Abhay Singhal and Naveen Tewari co-founded InMobi in 2006. With Gupta and Saxena stepping down from executive positions, InMobi is now left with CEO Tewari and chief revenue officer Singhal, among co-founders. InMobi is known to be India’s first unicorn and happens to be the first startup to be backed by Japanese investment giant SoftBank which put in $200 million in the company in 2011. SoftBank later pared down much of its investment in the company. The firm is seen as a formidable force in the ad-tech space, competing with Facebook and Google and is managing a sizable international business. It became operationally profitable for the whole year in 2016 and registered net profit in October-December period last year. It was reported then that the company was on course to record around $445 million revenues and a profit worth $40 million in 2017. Urban last-mile mobility solution Yulu, which is Gupta’s second venture, has been in stealth mode for quite some time. India is warming up to app-based bicycle sharing service which is already quite popular in countries such as China. Yulu will compete with Zoomcar which launched its bicycle sharing service PEDL.